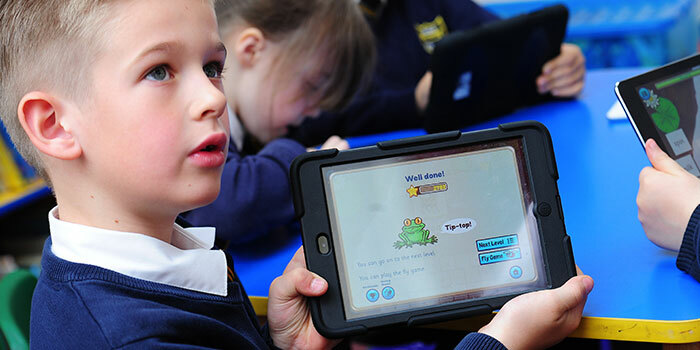 The phonics game app is graded and has several levels which go through the phonics work learnt in school. 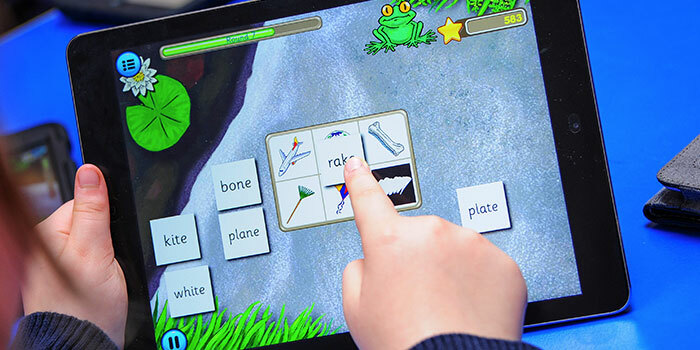 Froggy Match-it will also have decodable e-reading books. There will be an e-reading book at each level, and this will have a story that uses the phonic words which relate to that level of the game. 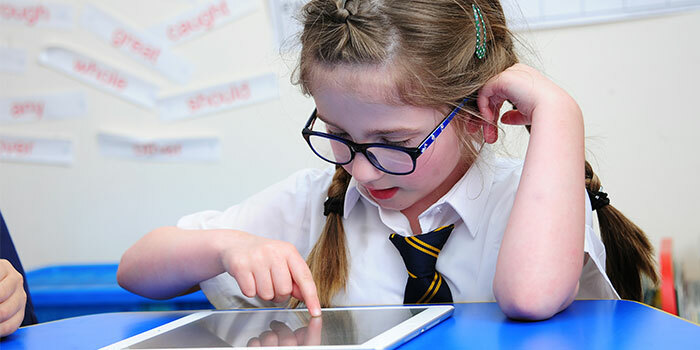 This is so that, once children have completed a level successfully, they can put their phonic skills to use and ‘read for real’. What could be better for a parent or a teacher to have a child reading a book him/herself, working out words using newly-acquired phonic skills and reading a real book? More importantly, what could be better for the child? 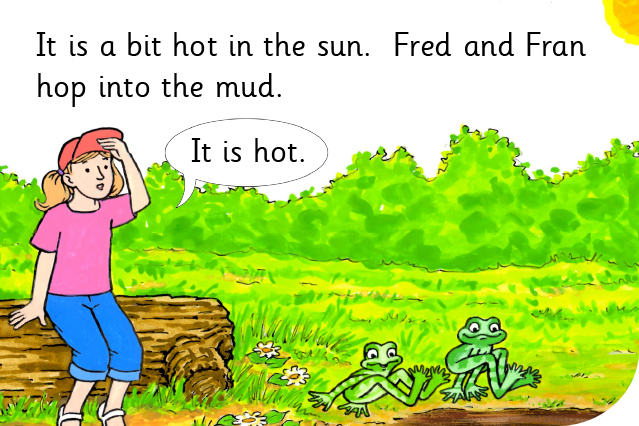 Each beautifully illustrated book features Sam and her two pet frogs, Fred and Fran. The first book matches the phonics dealt with at level 1 (also the free app), so concentrates on three-letter short vowel words such as ‘can’, ‘sun’ and ‘pot’. There is a big cat in the story for Fred and Fran to deal with: you will have to read it yourself to see what happens! The first e-reading book is called Hop! Hop! Hop! and will be available from Amazon very soon at the price of £1.99 (including VAT). We will let you know as soon as it is available.